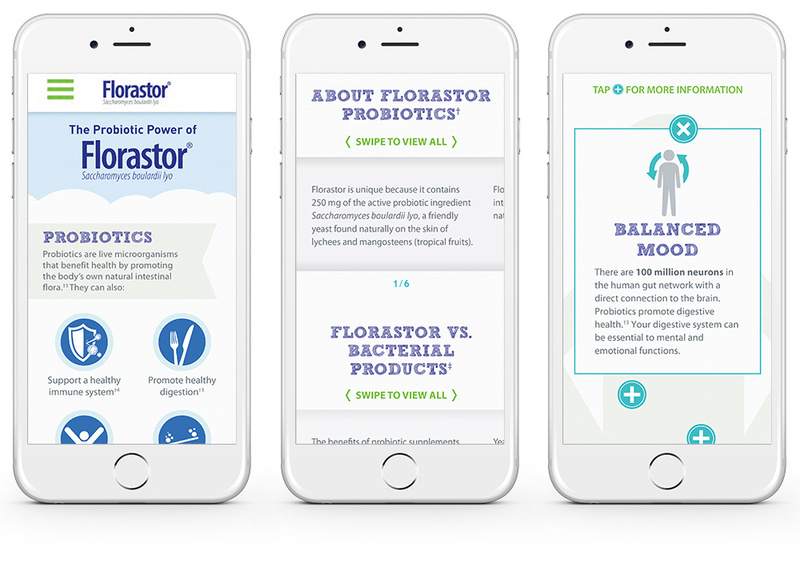 Unlike other consumer products, we had to put some effort into educating the consumer about why they (or their kids) might need probiotics. We created a series of targeted infographics to address specific audiences and their specific concerns regarding digestive health. The initial work done for these infographics was not insignificant. There was audience research, content research and many rounds of editing to get all that information down into digestible bits of content. That said, we got so much use out of these infographics. Not only did they share well online, they printed beautifully and were incorporated into our event work with Florastor. 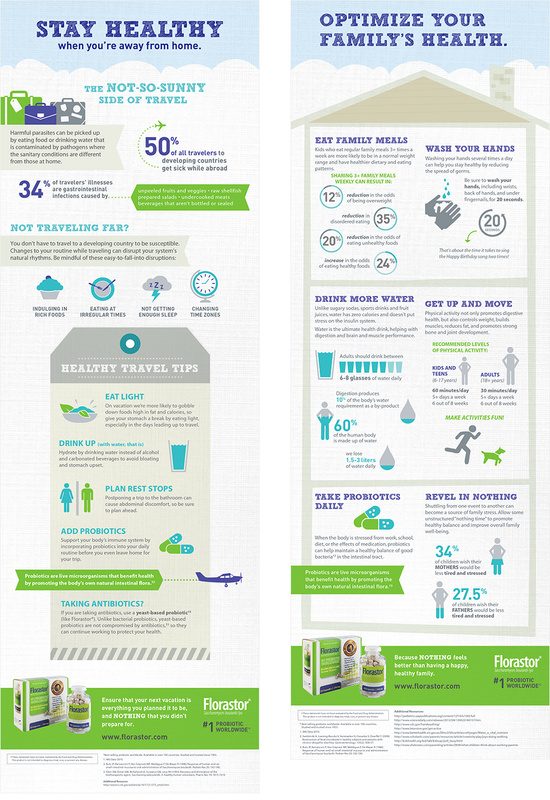 We were also able to repurpose them for Florastor’s print advertising. 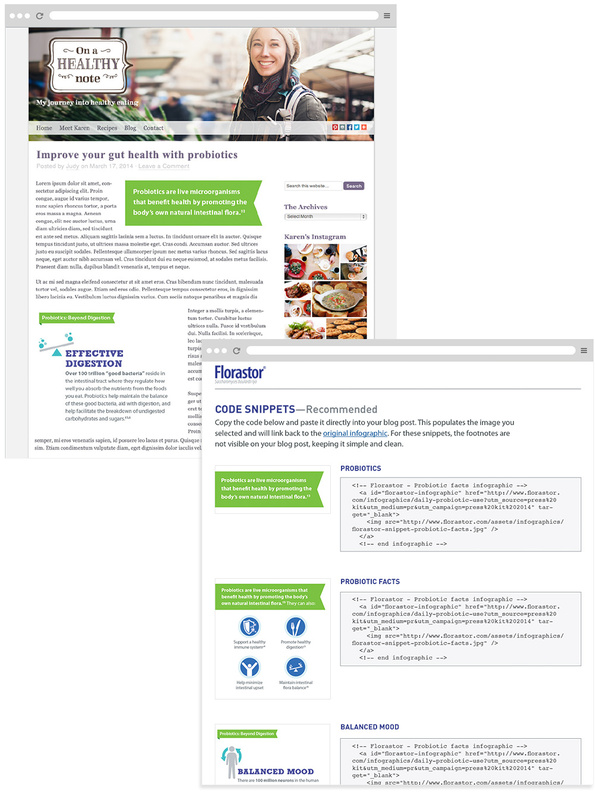 We originally built them as images, as most infographics are, but Florastor had a responsive site and these information-rich images were getting lost at smaller sizes. So we made the investment to rebuild them to be responsive webpages. This improved our search strategy and we were able to add some fun animations to the illustrations. Now that the infographics were rebuilt to collapse well into small format, we had bite-size chunks of information that separated well for use in our PR efforts. We sent bloggers quick-hit snippets to incorporate into their own posts.